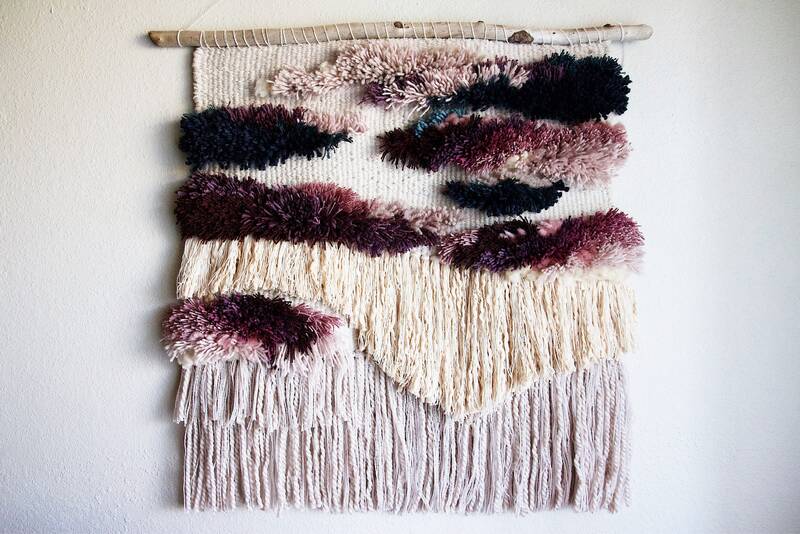 This one-of-a-kind wall hanging is inspired by my previous wall hanging "Fleur." I used the most luxurious fibers to complete this wall hanging. 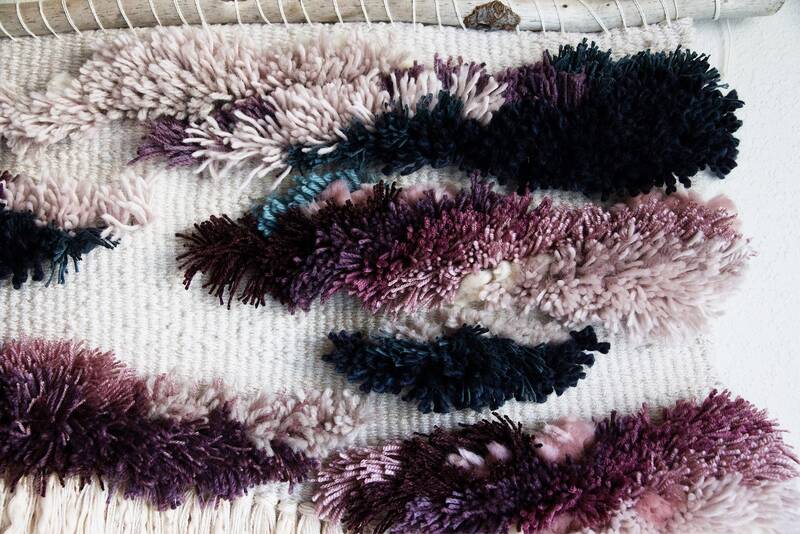 Materials used: Bamboo, Cotton, Peruvian Highland Wool, Wool Roving, 100% Superwash Merino Wool, 100% Australian Superwash Merino Wool, French Angora. Driftwood branch used to hang the wall hanging.